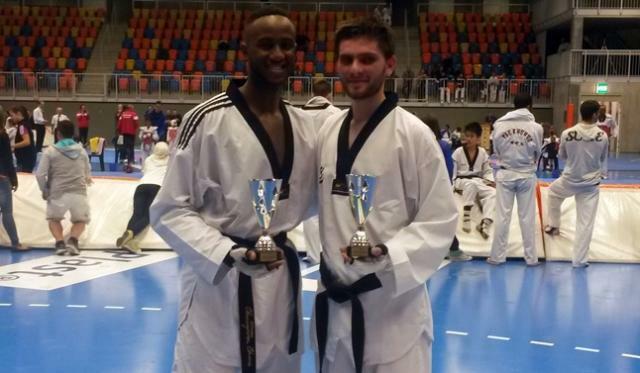 The most successful Kosovar in Taekwando, Durim Berisha, has managed to impress the Swiss audience at “Schaffhausen Open 2014” which was held in Switzerland by winning the gold medal at the 80kg category. Berisha is a member of the Kosovar Taekwando Team Representation. It is important to note that Berisha has been their shining representative throughout many competitions even though he lacks government support for his journeys. This has been the fourth gold medal for Berisha within the five months, thus justifying his position as a stellar representative of Kosovo abroad. Based on the KFT (Kosovar Federation on Taekwando) this event has been one of the most successful events so far. In addition, the continuous victories prove the efficient approach of the technical staff of the federation. These 4 international competition gold medals that have been brought home indicate the potential of growth that this sport possesses. Kelmendi to wrestle home another gold medal!